Furby very funny, funny furry animal. He loves to play and is glad when he had visitors. This time, he came up with a new game for you. He hid in his room items and would like you to find them. How to play: Locate all the items that Furby hid in his room. See panel below to guess what toys you need to find. Use the mouse to click on it need toys hidden in the room. Furby gives you two minutes. Faster! Time may not be enough! Played: 29394. Added: 27-05-2015, 20:42. 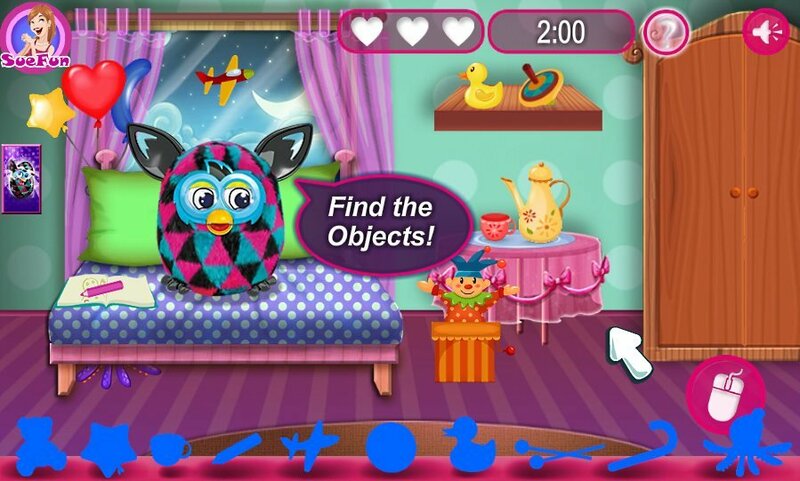 Furby asks you to find all the hidden objects. Game over! All toys found!